Is Robin Thicke’s ‘Dreamworld’ Yours Too? 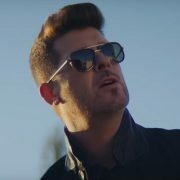 I've always felt that this incarnation of Robin Thicke used too much falsetto. He does it extremely well, don't get me wrong, but "Dreamworld" is so refreshing sans the vocal technique. Though this video is shot as slowly and as contemplatively as he sings those wishful lyrics, it is as beautiful as he and his video lover look in his soft, cross-processed dream. 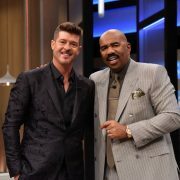 Thicke is suave and knows it, debonairly moving around each luscious set. Wistful gazes to the sky, and loving glances into his Paula Patton-esque counterpart's eyes only add to the dreaminess of this video. What a beautiful, intimate video for a lovely song. Love the song and love him. Just beautiful; both the song and video. I'm just glad to see Interscope is still supporting the project. BTW... Why wasn't Robin Thicke Grammy-nominated this year or last year?!? 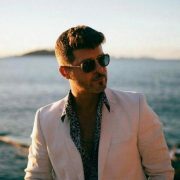 Now this is the Robin Thicke I like! He sounds more like he did here way back when he used to looked like Jesus. Bree: Actually his mom did an interview and said that he asked to sing with Al Green when they replaced CB for his no show, but they went to Justin instead. But he wasnt salty. He just said, I guess I better make better music... I think he does already and I absolutely love this video. Shows beauty without the look at this woman or watch my feet so you dont have to listen to the junk I am singing about loved the feel of the whole concept. Good Job!! This is a perfect song for this rainy day. I'm feeling it, annnnd for Robin staying out of his higher register. Reminds me a verry little bit of Jeff Buckley, somehow: white boy's spare, soulful lament. Okay, I might have to finally cop this disc. 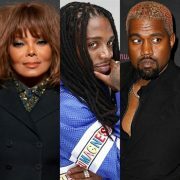 I hope the Mary J. remix of "Magic' is on there, too. He performed this joint on the View this morning. Great song with a great message.